With dyed hair, having dry hair is the bane of anyone’s life. Etude House has a product which is suited for permed or dyed hair, to promote healthy texture and shine. I haven’t seen a product like this before and thought it’d be great to test out. 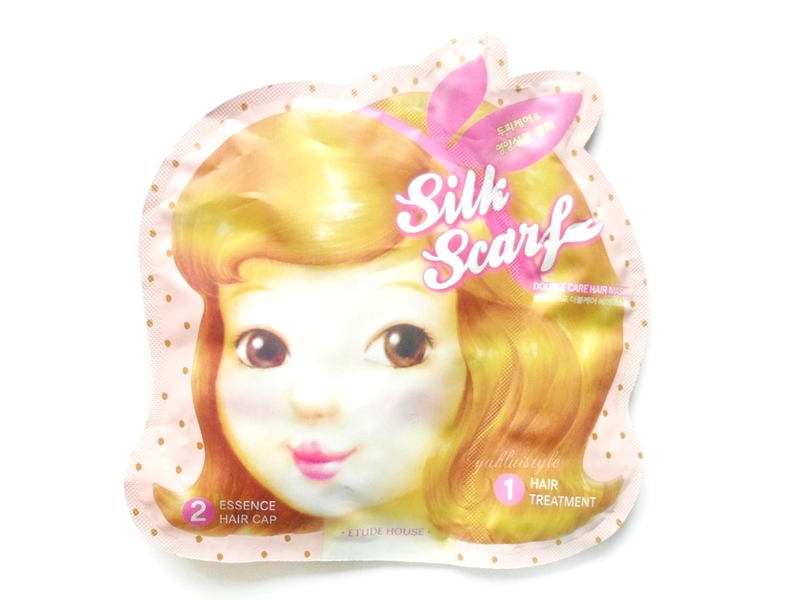 Each packet contains the hair treatment and the hair cap. 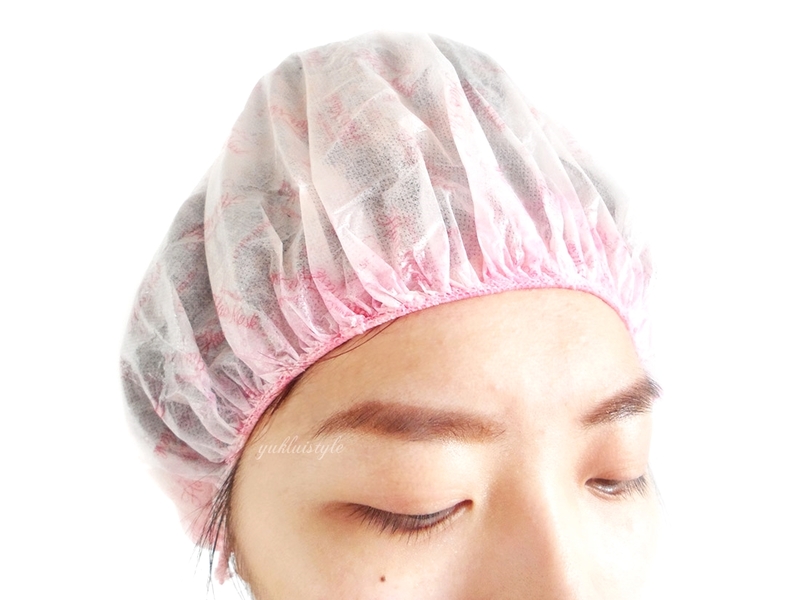 You apply the treatment after towel drying your hair then pop on the cap, relax for 10-15 minutes, then wash off. The treatment itself is thicker than your standard conditioner. It had a floral scent which wasn’t overpowering. I did find it was enough for my long hair. The cap itself was meant to be covered in some sort of hair renewal essence but it felt dry when I had unfolded it. Not sure how if the treatment was meant to activate this? Using this had left my hair feeling soft, smooth and a lot more manageable however lacked in volume. It did weigh my hair down. I wish I had used this on the bottom half of my hair, concentrating on the ends where it needs it the most. I can’t comment on how long this feeling lasts as I did have to wash my hair the next day. The joys of a very oily scalp! If you’re lacking in volume, this isn’t really the one for you. I believe you can purchase the treatment separately too. I did think this was some innovative product but it’s nothing really special. I get the same results as if I was using a hair mask treatment. You could just use your standard conditioner, put a shower cap on then relax for 20 minutes. It’ll give you the same results in my opinion. For this reason, I personally wouldn’t really repurchase it as it is a tad on the pricey side just for the one use. What’s the best hair treatment you’ve used? I have never used a hair mask – maybe I should! I love the Aussie leave in conditioners! Hair masks are so cool. I wish we could see a before and after pic of your hair though. I love some of their products. I haven't tried their hair mask though. I will look for this. Interesting idea this hair mask. I guess it is better to keep the heat in this way that sitting under that big egg-shaped heater (or whatever it is called, hehe) in the salon. never tried hair masks before but they look pretty cool ! and to be able to DIY at home is pretty sweet too ! what I love about Etude products is their cute packaging but they don't always work, like this one. Hope you fond out a good hair mask next time. While reading, in my mind, I was also thinking… Using conditioner and covering it with a shower cup would bring result, right? Glad you've mentioned it! I know Etude products could be a little pricey but this looks like worth a try. It looks ordinary based on your experience. I'll go with your suggestion to just go with conditioner. Nice and interesting idea to try.. But I guess, my wife would still prefer conditioner. The packaging is cute, but I tried it before and I didn't see much effect apart from the conditioning effect it has. There's a lot of product like this in the market and you could choose the best. Some are giving promotion and offers. It depends on your hair to try this product. I love the novelty factor of this! I'd definitely stick to just my ends too as my roots get oily super quickly like you.